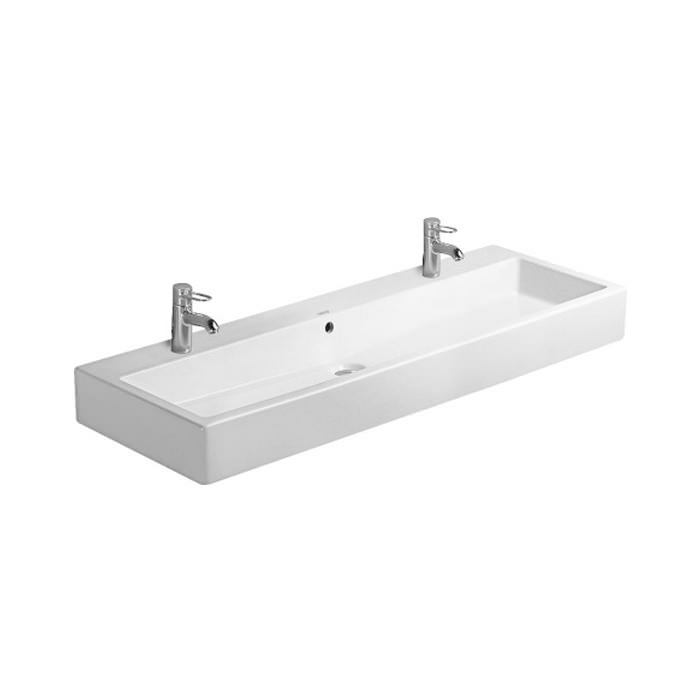 With its twin tap holes, this Grinded Basin from Duravit is especially suitable for public bathrooms. 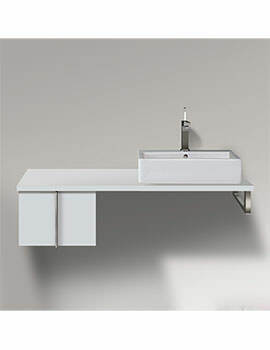 The product, which is part of the brands Vero range, is supplied with overflow and tap platform. 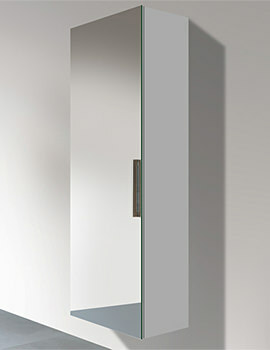 Made using high quality materials, it is impressively strong and durable. 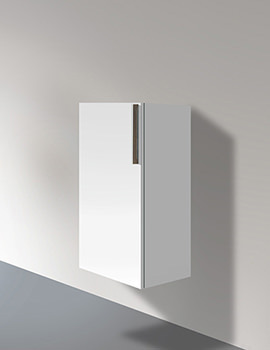 The model, plated with spotless white finish, is also available in gleaming black finish. It enjoys a warranty period of five years against all manufacturing defects. 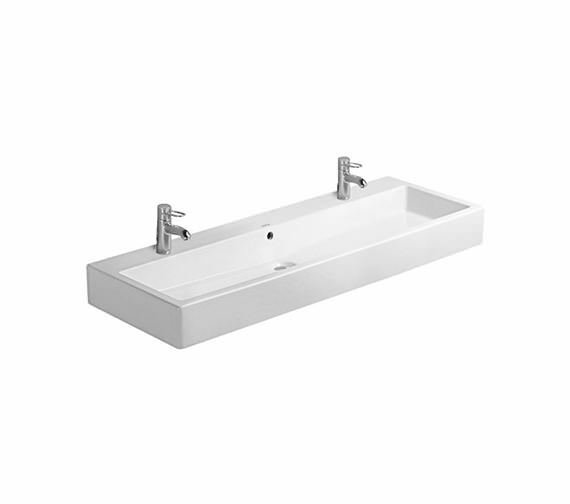 Dear Sirs, I would like to buy online the following item: Duravit Vero White 1000 x 470mm 2 Tap Hole Grinded Basin - 0454100026 QS-V59095 Can you deliver to Lisbon, Portugal? What would be the delivery cost? Thank you. 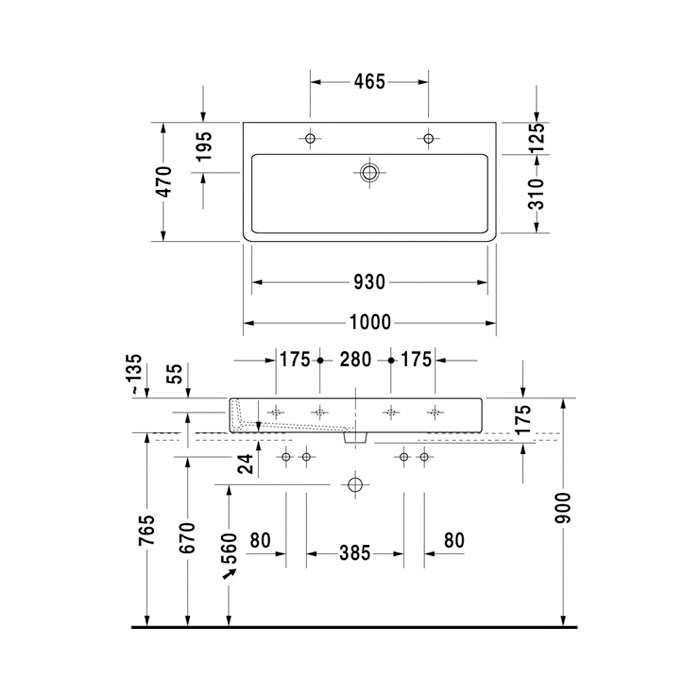 Unfortunately, we can't be much of a help here, as we supply products to UK mainland only. 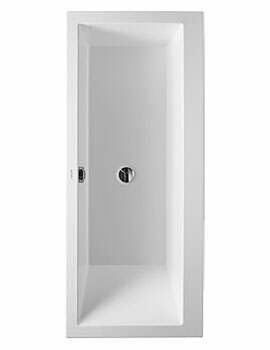 The difference between ground and unground: The ground wash basin is not glazed at the bottom in order to seat flat on top of a furniture, and the unground basin is glazed all around and can be wall mounted on its own.